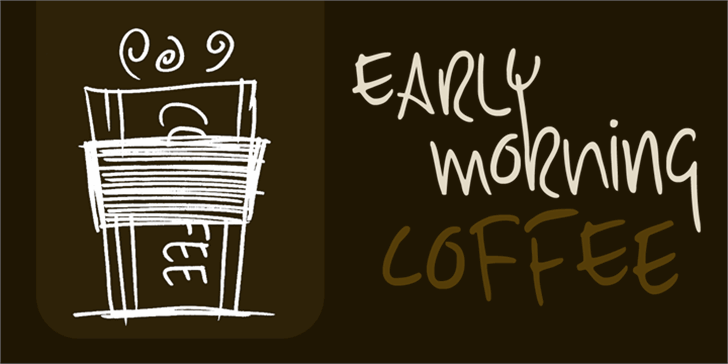 Demo/donationware version of Early Morning Coffee font. A full version, including kerning, calt, salt and the works, is also available. Just contact me for pricing and info. DK Early Morning Coffee Medium Roast is a trademark of David Kerkhoff.